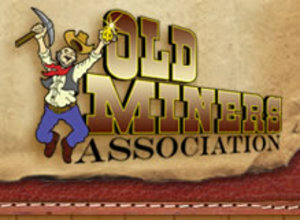 The Old Miners Association has a full schedule this summer! Big Bear Lake was the focus of several gold rushes during the height of the prospecting days of the late 19th and early 20th centuries. There were three major players in the search for gold in the Big Bear area: Bill Holcomb, Elias (Lucky) Baldwin, and J.R. DeLaMar. All of them came looking for gold, and all of them left the area disappointed with what they were able to extract from the region. One thing they did do well was expose more people to the beautiful Big Bear Lake area and all of the other natural wonders it possesses. This history of mining in the area and the exposure it gave the valley was not lost to the locals. A dedicated group of people created the Old Miners Association in 1949 to celebrate this rich local history. They have been going strong ever since, becoming a summer tradition with all of the events they sponsor. Their big summer starts this Memorial Day weekend! And the weather for it is looking lovely. The Old Miners Association’s huge summer schedule kicks off this weekend with two very big events. We mentioned the first one last week during our run down of Memorial Day events in Big Bear Lake: the Brent Payne concert on Saturday at The Bear Cave! A big hit at last year’s chili cook-off, this concert will jump start the season for the Old Miners events. Sunday is our Miss Clementine Pageant, the more traditional beginning to their summer season. Applicants will be judged on their accuracy in portraying frontier life through how they dress and act. The ones selected as “Miss Clementine” and “Lucky Baldwin” will receive scholarships. It is a great family event, and a chance to see how the people who first came to the valley lived there. The clever Old Miners continue the summer celebrating the history and heritage of the area on June 15 with the Big Bear Heritage Parade. This year’s theme will be “Big Bear Thanks You”, a message to all of the firefighters, police, public servants, and military. In July the main attraction will be the three day long Big Bear Blue Grass Festival, July 12-14. They have a great list of bands coming to the event, and tickets are on sale now! In between bands, or if you just need a break, there are shuttles to the Chili Cook-off that will be happening on July 13th. The Old Miners are even offering a shuttle back and forth to the festival and the cook-off! The food competition will be intense, since the winner will have a chance to go to the World Championships. Also that weekend, and ironically with all of the great chili and spicy salsa in the area, the Miners will have their Third Annual Outhouse Races! There will be some human powered outhouses competing for the “Golden Outhouse”, cash prizes, and an invitation to participate in next year’s race without paying a fee. It will be an amazing weekend to be here in Big Bear! Approaching the end of July, one of the World’s Shortest Parades will make its way through the streets of Big Bear. The Doo Dah Parade will have plenty of family fun for the day, even if the parade itself is short. The last event is a little bit of a mystery. We know there has been some foul play, but it will be up to you to figure out who did it! “Deal Me Dead” will be the closing Spaghetti Western event for the Old Miners days, asking the audience to participate in dinner and solving the mystery presented that evening. Even the date is a mystery at the moment, but we know it is coming sometime in September. The original miners who came to the area did not find the gold they were searching for, but they discovered a natural treasure that has been enjoyed for generations in southern California. The Old Miners Association keeps the good times rolling while also giving a history lesson to visitors and locals alike. You can be sure to get the best rooms for these events (and so many others) happening in the area by making your reservations early. Have a wonderful Memorial Day weekend, and we look forward to seeing you this summer! Gallery | This entry was posted in What to see and do and tagged Adventure, Big Bear CA, big bear lake, big bear mountain, cabins, Chili Cook Off, events, festival, fun, heritage, history, Holidays, lake, memorial day, Memorial Day Weekend, Miss Clementine Pageant, nature, Old Miners, parade, summer, vacation, weather, What to Do. Bookmark the permalink.